At one time a popular bumper sticker in the Saluda area read, "Texas Starts Here." Saluda County was, after all, birthplace and childhood home of two of the Alamo's greatest heroes, William Barret Travis and James Butler Bonham. 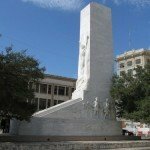 Travis was co-commander (along with famed frontiersman James Bowie) of the makeshift fortress when the Mexican army led by General Santa Anna arrived in San Antonio. A lawyer by trade, Travis was a fiery, handsome redhead with a restless spirit. Before coming to Texas in 1831, he had already tried Alabama, where both he and his cousin, James Bonham, practiced law. 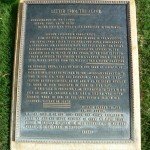 His letter has been called "the most famous document in Texas history"3 and "one of the masterpieces of American patriotism. 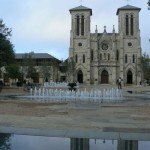 "4 After news of the Alamo's fall became known, Travis' stirring words were reprinted by newspapers and pamphleteers around the world. Bonham was related to the important Butler family of what is today Saluda County, and his brother, Milledge Luke Bonham, grew up to be governor. According to recent research, James Bonham was Travis' second cousin, and the two spent their early boyhoods attending Red Bank Baptist Church together. Though he was expelled after leading a student protest his senior year at South Carolina College, (now the University of South Carolina), Bonham went on to practice law in Pendleton. There, in one notable incident, he caned an opposing attorney for insulting his female client, and was then arrested after "threatening to tweak the nose"8 of the judge who attempted to intervene. By 1835, Bonham had set up shop in the Old Southwest,9 opening a law practice in Montgomery, Alabama, where two of his brothers lived. Before the year was out, however, both of Bonham's brothers had died, and he decided to join Travis in Texas. Today, numerous place-names throughout Texas honor William B. Travis, including Travis County, home of the state capital of Austin, and nearby Lake Travis. But the colonel's legacy reaches further still. Though he lived in Texas for just over four years, the name of this native South Carolinian has become synonymous with the American West in general and Texas in particular. Countless Texan boys are given the rugged first name of "Travis" each year, and Western films regularly use the name "Travis" for their protagonists. (In Executive Decision, Steven Seagal took no chances: his character was named Colonel Austin Travis.) Actors from Lawrence Harvey to Alec Baldwin have portrayed Travis on both big and small screens; in 1991, the bioflick Travis traced his entire life, from South Carolina onward. 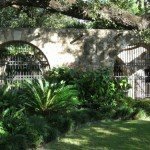 Though James Butler Bonham hasn't exactly become a household name, head north of Fort Worth, Texas not far south of the Red River and the Oklahoma border, and you find yourself in the mid-sized city of Bonham, named in honor of the Saluda County native. Home to legendary US Speaker of the House Sam Rayburn, Bonham ironically serves as the seat of Fannin County, named for the man who declined to save the Alamo.11 In the John Wayne film, The Alamo, the Duke reserved the choice role of Bonham for his own son, Patrick. You can also find a fine Alamo display at the Saluda County History Museum, including a painstakingly accurate 1/64th scale model of the garrison. Out on SC 121, you'll see a Travis monument erected jointly by Saluda County and the ever-grateful people of Texas. William N. Bonham, James Butler Bonham: Messenger of Defeat (Halifax: 1990). No one is sure exactly how many times Bonham escaped from the Alamo to smuggle pleas for Travis. Historians know he went once, and suspect he may have gone twice. In any case, he knew no help would arrive to save them, yet still he returned to die alongside his friends. The defenders of the Alamo were outnumbered at least 10 to one, and it is well-documented that they foresaw their fate. It is unclear how many men died at the Alamo. Most estimates range between 182 and 184, and eyewitness reports list figures as high as 257. 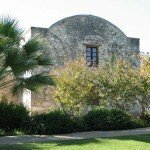 Library records in San Antonio name 189 men. 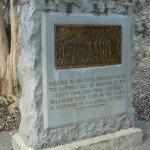 The only two men not killed were Travis' slave Joe and Brigido Guerrero, a Tajano who claimed he had been forced into battle by the Texians. (Some sources list Guerrero among the dead as well, lending the matter further ambiguity.) Joe probably was not from South Carolina, since Travis left the state at age 11. USGenWeb Archives Special Projects, Alamo Defenders, 1836. 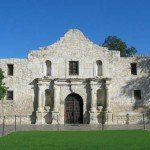 In addition to Bonham and Travis, the five South Carolina natives who died at the Alamo were: Lemuel Crawford, George Neggan, Edward Nelson, George Nelson, and Cleveland Kinloch Simmons. Fannin refused Bonham's personal request for help but, after considerable delay, did eventually enlist troops to make the 90-mile trek to San Antonio. Their wagons broke down after only one mile, however, and the troops turned around and went home. 34-year-old cannoner Gregorio Esparza's body was spared because his brother served in Santa Anna's army.